The earliest, most well-known romance between architecture and aviation had everything to do with seeing ... and not seeing. We can look to the very opening moments of Le Corbusier's Aircraft (1935) to have this revealed before us, the portrait of the young architect as a young polemicist. The year is 1909, and the young Le Corbusier, then an apprentice in Auguste Perret's office, sequestered in a "student's garret on Quai St. Michel," hears a noise. 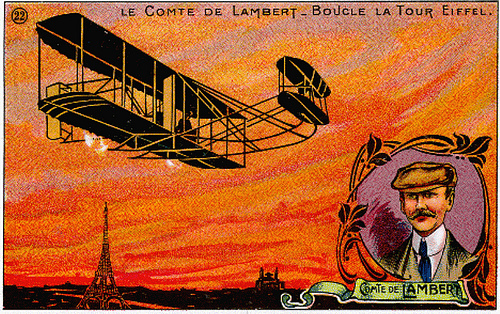 It is the sound of the Comte de Lambert flying his Wright flyer around the Eiffel Tower. It may have not been the loudest noise in the world, and yet the aircraft's single 35-hp engine would have created enough of a distinguishable drone in the air to catch an unsuspecting ear. The flight was the latest event in what would be a watershed decade for the history French aviation—and a momentous occasion for Le Corbusier as well. This was, after all, the very moment when "men had captured the chimera and driven it above the city." And yet the Comte's flight was literally obstructed by architecture. The noise was enough to cause our young architect to crane his head out the window, away from the building, so to speak, "to catch sight of this unknown messenger." Such talk of messengers is wholly apposite, for as Le Corbusier tells us, it was some time later when Perret burst into his atelier brandishing a copy of L'intransigeant announcing Louis Blériot’s successful flight across the English Channel on July 25, 1909. These two events—the Comte de Lambert's fight around the Eiffel Tower and Blériot's channel crossing—have a special significance for narratives of architectural modernism in that they anticipate Le Corbusier's own romance with flight and flying machines. There are of course other, and in some cases, earlier and more fruitful instances where the cultures of architecture and aviation have merged. Yet what is important here is that this early entanglement with aviation would inform some of Le Corbusier's most important polemical statements about architecture. Within the pages of L'Esprit nouveau, the publication edited and published by Le Corbusier and Amédée Ozenfant from 1920-1925, there appears a series of installments with the cryptic title "Des Yeux Qui Ne Voient Pas" ("Eyes That Do Not See"). The phrase, attributed to a poem by Stéphane Mallarmé called "Le phénomène futur," is an indictment of Le Corbusier's contemporaries, architects who are incapable of seeing without any sense of clarity, of not seeing what "is right before our eyes." It is as much an appeal to contemporaneity as it is a demand for architects to really look at the various industrial objects around them to truly understand how to pose a design problem. The first "Eyes That Do Not See" that appeared in L'Esprit nouveau No. 8 (1921) is about ships, and the second, from No. 9 (1921), concerned airplanes. Here, Le Corbusier looks to aircraft to demonstrate how architects should be looking at design problems. The logic goes something like this: if an airplane is a machine for flying, and a bomber a machine for bombing, then the reason why houses are not looked at as machines for living is that architects have not trained their eyes to really pose the question in this manner. Thus the photographs of aircraft in the pages of L'Esprit nouveau No. 9, many of which would be reprinted in Le Corbusier's influential book, Vers une architecture (1923), serve a didactic purpose. They are evidence not only of design problems that are well-thought out, but also exhibited (if that's the appropriate term) to stand in stark contradiction to the work of contemporary architects. Hence the last spread in "Des Yeux Qui Ne Voient Pas ... Les Avions" (1921) pairs an ensemble of public and private buildings, all gaudy and overscaled, against the sleek lines of a Farman Goliath. Whereas Le Corbusier labels buildings by Marcel, LaJoie, Vorin, Lavirotte, Garriguenc, Gosselin, and Castel as "Le problème mal posé ... des yeux qui n'ont pas vu" ( "The badly posed problem .... by eyes that have not seen"), the Goliath, on the other hand, appears pristine against a cloudless sky. It is visible, obvious. This is not to say, however, that the aircraft appearing in "Des Yeux Qui Ne Voient Pas ... Les Avions" or Vers une architecture were at the pinnacle of French aviation development. Much as the text rarely corroborates or references the images of aircraft, the vehicles themselves seem to have no relation to each other other than the fact that they are aircraft, and that many of their images are culled from publicity brochures and advertisements. Most are Maurice Farman designs. For example, the image on the title page of "Des Yeux Qui Ne Voient Pas" (reproduced in Vers une architecture) is a Farman F.40 from L'escadrille 44 flying a reconnaissance mission over Verdun sometime in 1916. By the time L'Esprit nouveau went to print, it was an airplane that had already been superseded by sleeker, faster, and bigger models, including the Goliath. How interesting, then, that one of the aircraft that Le Corbusier chooses to present is a SPAD XIII, one of the most celebrated aircraft of the First World War. In 1912, textile heir Armand Deperdussin founded the Société de Production des Aéroplanes Deperdussin. And with the help of aircraft designer and engineer Louis Béchereau, Deperdussin's company became famous for designing fast, single-engine monoplanes that became popular with foreign buyers. In 1913, Deperdussin became embroiled in a fraud scandal and was subsequently arrested and sentenced to trial. An external consortium of aviation experts appointed Béchereau as the head of Deperdussin's former company. The head of this consortium was none other than Louis Blériot, the very same pilot and aircraft designer who made the first crossing of the English Channel by plane in 1909. They renamed the company Société Pour L'Aviation et ses Dérivés, or SPAD. 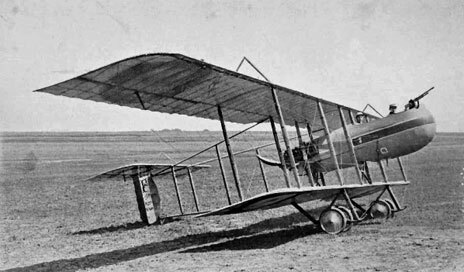 Under Béchereau's supervision, and just in time for the outbreak of the First World War, SPAD produced a series of agile, heavily armed biplanes, including the SPAD A-Series and the more successful S.VII. But it was the S.XIII, with its powerful 220-hp Hispano-Suiza engine, that became the one of the Allies' favored front-line fighters during the First World War. It was the very airplane that made French airmen Rene Fonck and Georges Guynemer, Italian pilot Franceso Baracca, and American aces Eddie Rickenbacker and Frank Luke famous. The caption underneath the picture of the S.XIII in L'Esprit nouveau identifies it as a "SPAD XIII Blériot." This is because in 1918, Blériot had purchased all the assets in Béchereau's company and taken over the production line. 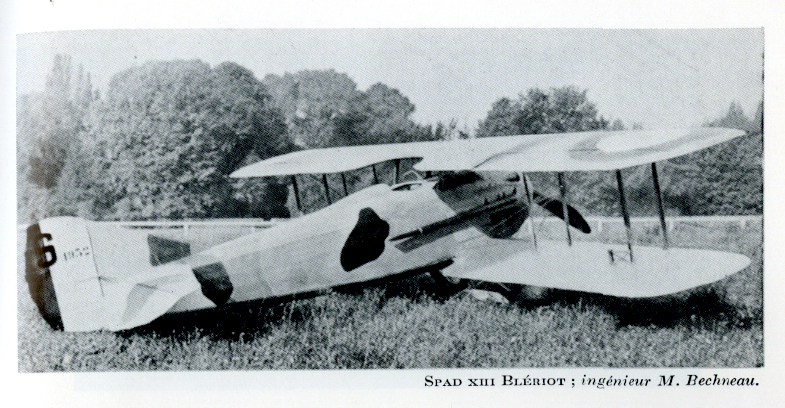 The new company, now named Blériot-SPAD, continued producing aircraft using the SPAD brand until 1921. This means that the aircraft depicted in L'Esprit nouveau was not technically produced by Blériot-SPAD (production of the S.XIII halted in 1919). In other words, it is an archival image probably used to depict the history of Blériot-SPAD's production line. This perhaps explains the appearance of Bécherau's name (he had left the company after the war to establish, along with Adolphe Bernard, a new company, the Société des Avions Bernard). The image is therefore a testament to the designer's legacy, perhaps a suggestion that it was Bécherau, and nor Blériot, that had posed the so-called design problem well. The above materials, the ways in which they implicate Le Corbusier's interest in aircraft are well-known. So are the methods used to articulate this interest. Archival images and photographs, period newspaper and magazine clippings from the early 1920's are scoured by scholars. The idea here is that the proper contextualization of Le Corbusier's work requires finding direct correlations between the process of writing and laying out L'Esprit nouveau and Vers une architecture. It is a way of acknowledging the perniciousness of intentional fallacy. In other words, although the work of an author is of primary importance, there still added value in acknowledging the importance of other work that Le Corbusier may have consulted. 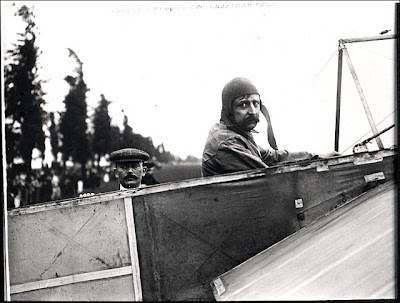 But before we cast Blériot as the one who "had not seen," it is not only important to recall that this pioneering aviator was also an industrial designer, but also to recognize one of the central themes of this post. I am, of course, talking about seeing and not seeing—a distinction that invites another discussion as to the significance of the eye. The idea of the disembodied eye is one that is indelibly woven into the fabric of modernity. Thus philosophy scholar Karsten Harries uses the term "Angelic Eye" to describe a "move to objectivity" to "defeat doubt." This is, however, much more than a description of the commonly held view that objectivity and rationality are coextensive with modernity. 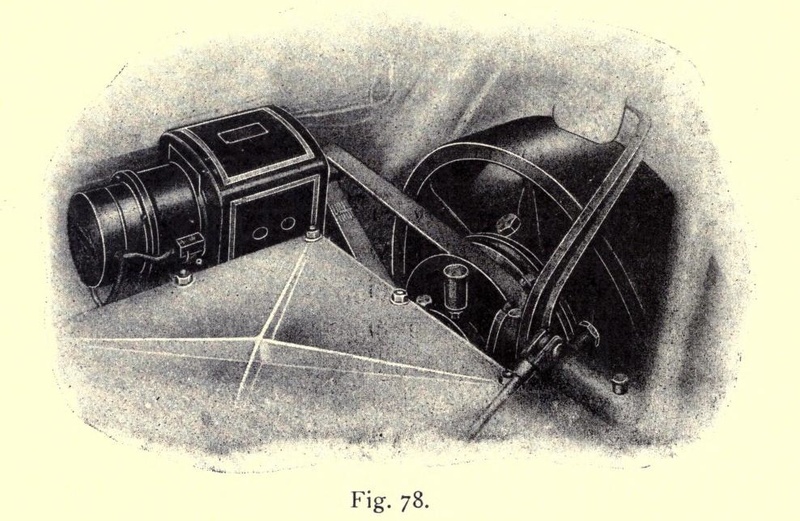 Historian Martin Jay points out, for example, that Harries is presenting a more complicated view, so to speak, one that considers how the disembodied eye "expressed the very human ability to see something from the point of view of the other." This is a point of view that resonates well with one made earlier by Swiss literary critic Jean Starobinski in L'oeil vivant (The Living Eye) (1961). The subject of this book is the writer's eye, an eye with not only the capacity to see the world, its objects, and through its objects, but also with the ability to recognize its limits, to know when one cannot truly see. Starobinski describes this tension between the desire to see everything and nothing in poetic terms: "One must refuse neither the vertigo of distance nor that of proximity; one must desire that double excess where the look is always near to losing all its powers." If Starobinski's task is to warn of the dangers of "le regard surplombant" ("the look from above"), then it follows that a slightly different vantage point is needed, one that modulates between distance and proximity. My charge here is to describe this process of seeing as somewhere between a close reading and a general history. This entails recasting Starobisnki's idea of "le regard surplombant" as a medium-altitude scan. From this height, then, facts, events, texts, images become part of a larger fabric. And yet one of the benefits of observing from this height is that the fabric below appears as a much more fragmented surface. Subject to this medium-altitude scan—this bird’s-eye view of the bird’s-eye view, so to speak—the landscape below becomes a vexed object. No longer a smooth or continuous isotropic space, our subject is irregular, wrinkled, serrated. Actors, objects, histories shuttle in and out to complicate this vantage point. Consider how this complicates the connection between Le Corbusier and Louis Blériot that introduced this post. Until now, our brief survey of this period of Le Corbusier's works involved a close reading of his sources. These are moments of diligence: images are traced to specific publications, which are alluded to in letters between Le Corbusier and others, which, in turn create a tight, interconnected skein of sources and texts that give way to a historical picture. But now, moving a little higher to our medium-altitude vantage point, we note an additional series of texts and authors that, although not directly related to L'Esprit nouveau, are nevertheless instrumental to our understanding of it. And at this height, we can capitalize on the value of coincidence. Although he is more closely associated with developments in aviation, Blériot was also an important figure for automobile culture. And like many aircraft designers, he plied his trade in the design and manufacture of car parts before achieving fame as an aviator. An issue of The Automobile from 1909—the very year that Blériot crossed the English Channel—announces his publishing of an airplane catalog "in which aeroplanes are listed in a commercial basis." The announcement also mentions that Blériot's factory, on 16 Rue Duret in Paris, also specializes in the manufacture of custom woodwork for aircraft framework. 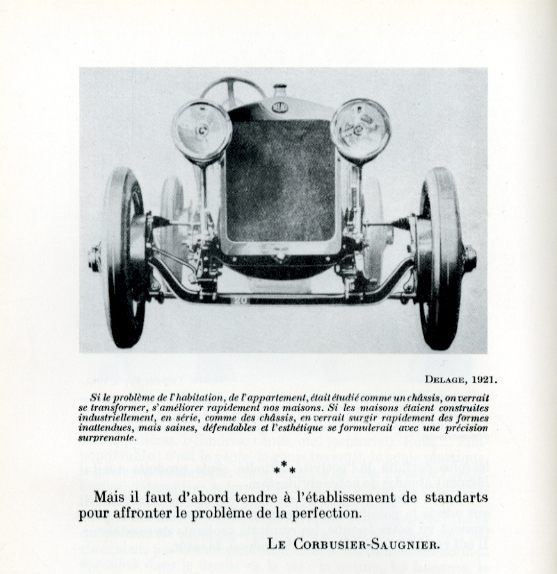 And as early as 1902, a small listing in an issue of L'Aérophile (a publication started in the 1890's by the Aéro-Club de France) tells its readers that Blériot, "known throughout the automotive world for his powerful acetylene headlights" has just built a flying machine in that very same factory. Blériot also became famous for designing the dynamos needed to power automobile headlights. Attached to an engine flywheel, the dynamo was a device that would generate the electricity needed to power a headlight thought constant, rapid revolutions. And in 1914, Mortimer Arthur Codd, a leading authority on the design of power components for automobiles, published a whole book devoted to the operation of headlights called Dynamo Lighting for Motor Cars. Codd surveys the entire European landscape of dynamo designers, and even devotes an entire section to Blériot's current dynamo, "modelled on the lines of a central station machine, its parts being of quite ordinary design and of considerable strength and robustness." It is quite likely that the very dynamo presented in this pages a Blériot "PHI"-type design. In 1910, Blériot published an ad in the pages of L'aérophile promoting this line of dynamos. The image is remarkable, even illuminating. 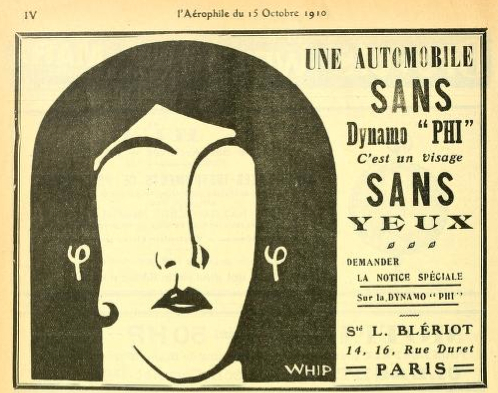 It reads: "Une automobile sans dynamo 'PHI' c'est une visage sans yeux" ("A car without PHI dynamos is a face without eyes"). Underneath is a Modigliani-esque image, a stark, lean face carved out of the interplay between the blackness of the hair and brows and the whiteness of the skin. Earrings shaped like the Greek lowercase "phi" appear in lieu of ears. And the eyes, as the title declares, are missing. The implication here, of course, is that your car's headlights will not work without a set of Blériot dynamos. But it is the use of the face that really calls attention to the suggestive nature of this image. This is not just supposed to remind us of the front view of a car; it calls attention to the fact that the eyes are missing. Around the time that Ozenfant and Le Corbusier began to publish L'Esprit nouveau, they would have been familiar with an automobile's standard front-end light-and-radiator arrangements. When viewed as a front-end elevation, the front of the car would indeed have appeared as a face. Part of the reason for this particular style is that for dynamos to work properly and efficiently, they would have to be placed somewhere near the engine. This would require mounting headlight fairings as close as possible to the engine block: this proximity is what gives the front of the car its literal and figurative visage. This idea was not unfamiliar to automobile culture, however. Automotive industry trade publications in the early twentieth century published schematics showing the latest designs by car and parts manufacturers. 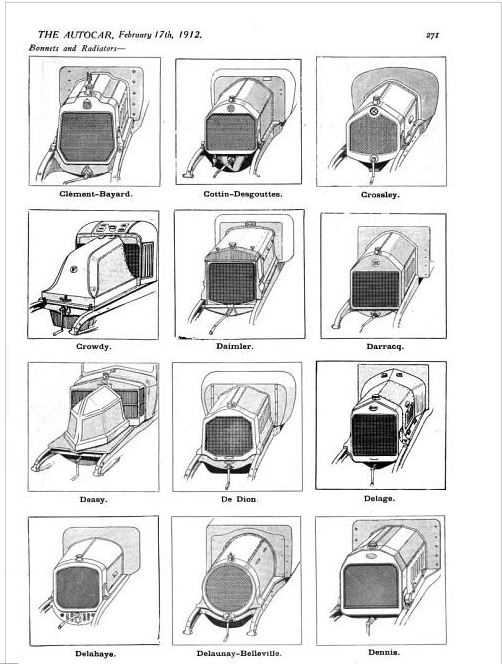 And when showcasing the various kinds of radiators, such publications would often have to depict the front end of a car without its headlights. They were, in essence, publishing faces without eyes. A 1912 issue of the British automobile trade publication The Autocar devoted a whole section to radiators. Displayed in alphabetical order, the images are familiar in the sense that they are perspective drawings of the front ends of cars. But the lack of headlights makes them, if not unfamiliar, disconcerting, as if something was wrong with these cars. 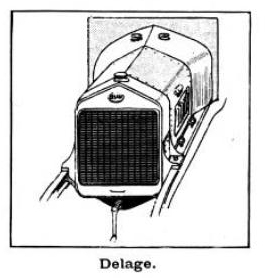 In the "D" section, there even appears the front end assembly for a Delage automobile. Top: front end of Delage automobile without headlights; Bottom: front view of Delage Grand-Sport from L'Esprit nouveau No. 10. To get a sense of what a Delage would have looked like with its headlights mounted, one would only have to look through the pages of L'Esprit nouveau No. 10. And there, at the very end of an article named "Des Yeux Qui Ne Voient Pas ... Les Autos" is a photograph of the front end of a Delage Grand-Sport automobile. Like the images of aircraft in No. 9, this image also appears in Vers une architecture. And there, too, the image of the Delage Grand-Sport is juxtaposed against a photograph of the Parthenon. Jean-Louis Cohen has observed how these two images demonstrate how "the eyes of an era were invited to accept a literally iconoclastic rapprochement between Greek temples and automobiles." The reference to eyes and vision are, of course, wholly intentional. And here, the issue of proper vision is couched in terms of standardization. In other words, Le Corbusier uses cars as examples of properly-posed questions in the sense that they represent the pinnacle of a design process (i.e., a standard). To go one step further, however, this sense of vision correction would also apply to the various components that make up a car. And though many of the photographs have a distinct emphasis on form, Le Corbusier alludes to the importance of standardized components when he writes in Toward an Architecture that "All automobiles are essentially organized the same way." Historians undertake to arrange sequences,—called stories, or histories—assuming in silence a relation of cause and effect. These assumptions, hidden in the depths of dusty libraries, have been astounding, but commonly unconscious and childlike; so much so, that if any captious critic were to drag them to light, historians would probably reply, with one voice, that they had never supposed themselves required to know what they were talking about. Briefly acknowledging that Adams is here writing under the spell of dynamos, it is nevertheless important to recognize that the very process that he is describing here is not unlike what Le Corbusier was doing while assembling the materials for L'Esprit nouveau and Vers une architecture. It is a description of organization, of a process that also recalls the kind of archival and interpretative heavy-lifting normally associated to historians. Yet the very sense of doubt that Adams alludes to here—doubt in historical and critical methods—should not be overlooked. It seems that the only recourse would be to remember the significance of the eye. And here, I am not talking so much about the eye that reads things closely. Nor am I referring to Starobinski's "view from above"—the eye that reads objectively. The eye I am talking to is neither subjective nor objective, but synthetic. It hovers somewhere above, not too high nor too low, and allows us to piece things together that do not necessarily correlate. Because from this vantage point, we are afforded the luxury to question those things that we look at, to invert and re-invert the relationships they have with other objects, institutions, and histories. To cast something not only as a car without headlights, but as a face without eyes. Le Corbusier, Aircraft (London: The Studio, Ltd., 1935), 6. For his various articles in L'Esprit nouveau, Le Corbusier signed his name as "Le Corbusier-Saugnier." Jean-Louis Cohen, introduction to Toward an Architecture, by Le Corbusier, John Goodman, trans. (Los Angeles: Getty Research Institute Publications, 2007), 13. For more on Le Corbusier's attitudes to poetry, see Francesco Passanti, "The Vernacular, Modernism, and Le Corbusier" Journal of the Society of Architectural Historians, Vol. 56, No. 4 (Dec., 1997), 447. Le Corbusier, Toward an Architecture, p. 156. For more about Le Corbusier's inventory of industrial objects within the pages of L'Esprit nouveau, see Beatriz Colomina, "Le Corbusier and Duchamp: The Uneasy Status of the Object" in Taisto H. Mäkelä and Wallis Miller, eds. Wars of Classification: Architecture and Modernity (New York: Princeton Architectural Press, 1991), 37-62. A version of this essay, with more illustrations, appears in Colomina, "L'Esprit Nouveau: Architecture and Publicité,"in Colomina, et al. ed. Architectureproduction, Revisions 2 (New York: Princeton Architectural Press, 1988), 56-99. An analysis of Le Corbusier's interest in automobiles in relation to futurism can be found in Tim Benton, "Dreams of Machines: Futurism and l'Esprit Nouveau," Journal of Design History, Vol. 3, No. 1(1990), 19-34. I am, of course, summarizing here. To better understand the intellectual milieu surrounding the idea of "Des Yeux Qui Ne Voient Pas," see Cohen's introduction to Vers une architecture, especially pp. 13-17. Le Corbusier-Saugnier, "Des Yeux Qui Ne Voient Pas ... Les Avions" L'esprit nouveau No. 9 (1921), 986. I began this discussion with my post on atemporality in the work of Reyner Banham, Albrecht Dürer, L.B. Alberti, and Herbert Bayer in Story of an Eye (and Another Eye, and Yet Another Eye) (posted to this is a456 on 19 March 2010). Karsten Harries, "Descartes, Perspective, and the Angelic Eye, " Yale French Studies, No. 49, Science, Language, and the Perspective Mind: Studies in Literature and Thought from Campanella to Bayles (1973), 32. For one of the most articulate and most recent rejections of this view, see Bruno Latour, We Have Never Been Modern, Catherine Porter, trans. (Cambridge, Massachusetts: Harvard University Press, 1993); Peter Galison, Image and Logic: A Material Culture of Microphysics (Chicago: University of Chicago Press, 1997). 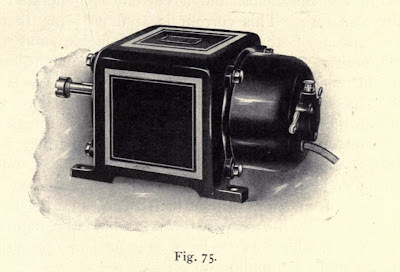 For an expert dissection of Galison's idea of the "mesoscopic view," check out "Traditions of Practice: Mesoscopy, Materiality, and Intercalation", from the excellent history and historiography of science blog, Ether Wave Propaganda. Martin Jay, Downcast Eyes: The Denigration of Vision in Twentieth-Century French Thought (Berkeley: University of California Press, 1993), 81, n. 187. Here I am paraphrasing Wallace Fowlie's review of the English translation of Starobinski's The Living Eye. See Fowlie, "Sight and Insight," The Sewanee Review, Vol. 97, No. 4 (Fall, 1989), cxx-cxxii. Jean Starobinski, L'oeil vivant: Essais (Paris: Gallimard, 1961), quoted in Ibid., p. 20. For more on this trend, see Herrick Chapman, State Capitalism and Working-Class Radicalism in the French Aircraft Industry (Berkeley: University of California Press, 1991). Anon. "Recent Trade Publications" The Automobile, Vol. 21, No. 22 (25 November 1909), 941. Anon. 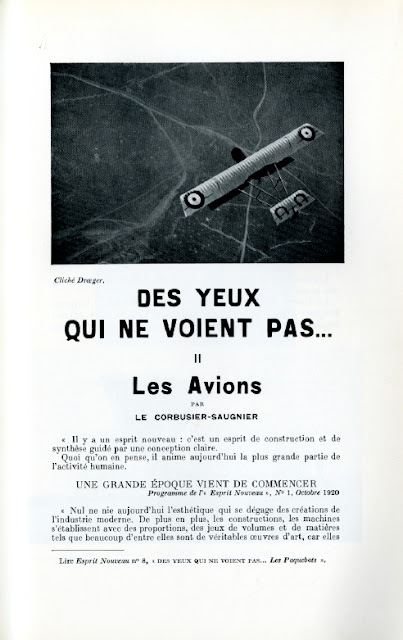 L'Aérophile: revue pratique le la locomotion aérienne, No. 11 (Nov., 1902), 292: "Nous apprenons que M. Louis Blériot, l'ingénieur bien connu du monde de 1'automobile par ses puissants phares à l'acétylène, construit dans ses ateliers de la rue Duret une machine volante qu'il compte expérimenter sous peu." Mortimer Arthur Codd, Dynamo Lighting for Motor Cars (London: E. & F.N. Spon, 1914), 61. Cohen, introduction to Toward an Architecture, 17. I am also being reductive here. For more information on standards and standardization, see Cohen's discussion of how Le Corbusier used the German word standart to describe this process in Ibid. Le Corbusier, Toward an Architecture, 182. Henry Adams, "The Dynamo and the Virgin" in The Education of Henry Adams (Boston: Houghton and Mifflin, 1918), 382. "Le Corbusier's first important building after the war was the studio residence he built for Ozanfant in Paris in 1922. In the following year he published his famous book Vers un Architecture. Probably the most influential architectural book of its generation, its contents add remarkably little to what Violette-le-Duc said in his lectures exactly sixty years before. The beauty of the machine, the importance of geometrical control in the creation of design, the stupidity of academic tradition, the lessons of the past in precision and logic--all these are topics which Violette-le Duc had dealt with. But in Le Corbusier the emphasis is, of course, very different. He is able to put the car, the air-plane and the liner in the foreground of the picture; he insists far more vehemently on the way in which engineering has leapt ahead of architecture and he coins the phrase 'la maison--une machine a habiter'. His technique, too, is lighter and faster, adapted to an age of headlines and headlights. And there is one subject he deals with at some length which would have been perfectly strange to his great precursor--the subject of factory-built houses." --Johe Summerson, "Architecture, Painting and Le Corbusier" in Heavenly Mansions and other essays on architecture (1963), p. 188. I wanted to copy the passage anyway, and now it's with even more implications. Projetar Casa Magazine is an online publication about architecture, design and decoration. It can reach any place in the world through an online edition. Easy and free to read. Get involved with a comfortable and pleasant reading, without leaving your seat. "Part of the reason for this particular style is that for dynamos to work properly and efficiently, they would have to be placed somewhere near the engine. This would require mounting headlight fairings as close as possible to the engine block: this proximity is what gives the front of the car its literal and figurative visage." This statement is fallacious. The dynamo benefits from being near the engine but the lights are connected by electrical cable to the dynamo and can be wherever you want to be within reason. The dynamo and the lights are not the same structure at all. It just makes sense to have them at the front facing forward at a useful height, but it's not to do with mechanical efficiency. Thanks for the helpful clarification!